A well-stated message that engages a target audience can sometimes be re-purposed to reach a different but related audience. Here’s a case where we were able to make that work well. 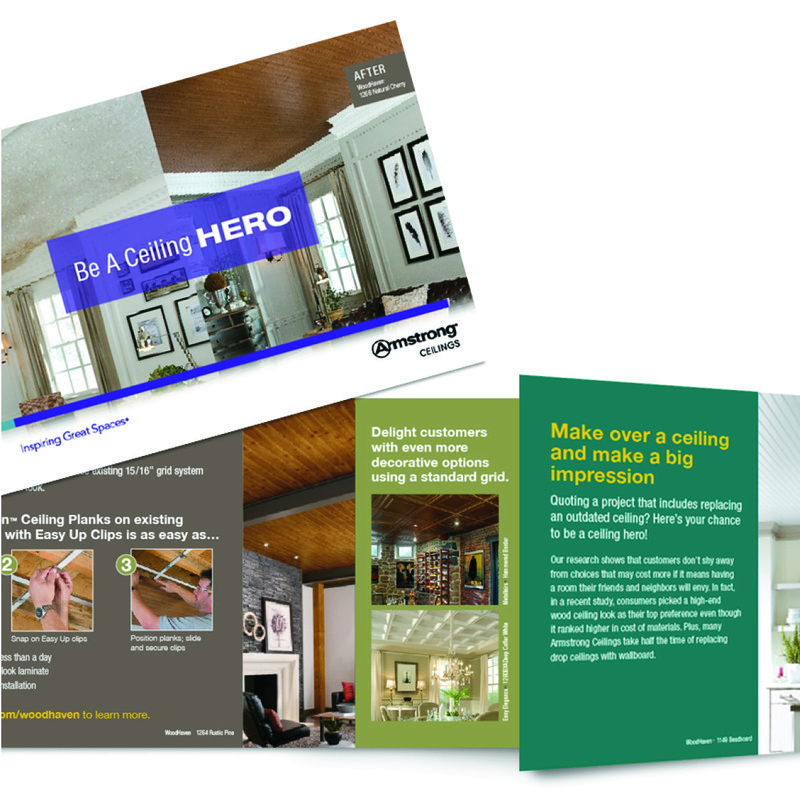 For our client Armstrong Ceilings, we developed a direct mail piece about using their Woodhaven planks to easily make-over an outdated drop ceiling. The piece was targeted to contractors. Using some of the same photos and editing the copy, we created a flyer and statement stuffer for contractors and, with refined copy, a direct mail piece aimed at consumers. No need to completely re-invent the wheel when you have a darn good wheel to begin with! Click here to see the direct mail piece.